Paddington pole is reduced to 14 floor cube! 15 July 2016. The 72 storey pole project of architect Renzo Piano and developer Irvine Sellar has been dramatically redesigned to be a 14 storey cube. The revised scheme is a 360,000 sq ft office cube that will stand three storeys above ground. 9 March 2016. 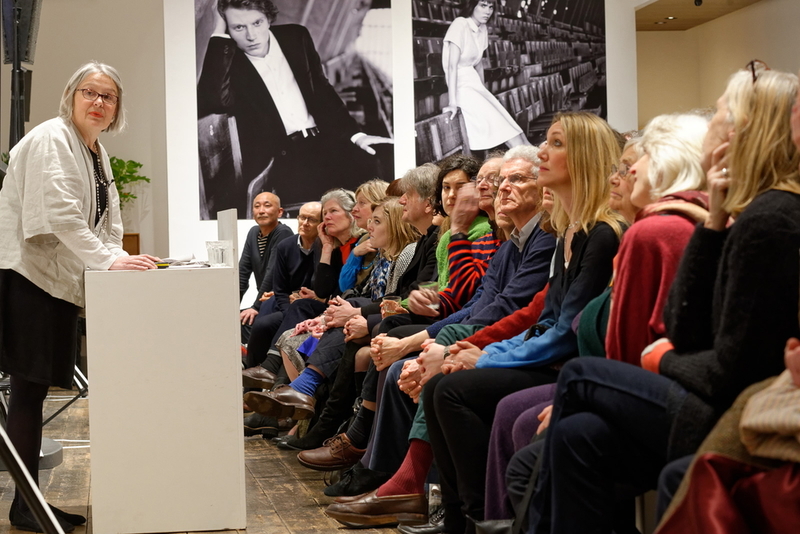 Open-City and Margaret Howell hosted a talk by Skyline Campaign co-founder, Barbara Weiss, relating the Skyline Campaign's history and identifying current targets. More than 500 people applied for tickets to what was the campaign's first ever event, though the venue was able to accommodate only 150. Coinciding with the announcement of shocking new tall building figures for London by New London Architecture, it was a perfect opportunity to discuss strategies for opposing the tall building trend. The evening was skillfully chaired by Rory Olcayto, Open-City's new CEO, in Margaret Howell's clothing store on Wigmore Street. 9 March 2016. New London Architecture and GLHearn released the findings of their 2016 survey of tall buildings (buildings with at least 20 storeys), reporting a total of 436 projects currently in the pipeline for London. 233 of these already have planning approval but are yet to start on site. 94 tall buildings were submitted for planning since this time last year, up from 72 in the previous year. Tower Hamlets was the London borough with the most tall buildings – a total of 93 are proposed (either in planning or at pre-application stage). Greenwich takes second place, with 67 projects, a significant increase from the eight schemes revealed in last year’s report. An increasing number of tall buildings are also coming forward in outer London, with 23 proposed in Barnet and 18 in Croydon. The average height of London’s new tall buildings is approximately 30 storeys. Read more about the report at New London Architecture. Paddington Pole: the battle is not over! 22 February 2016. Watch London Live to see Skyline Campaign Barbara Weiss in debate with Chairman of New London Architecture, Peter Murray, on the subject of tall building construction around London. 11 February 2016. Watch Newsnight to see how London's skyline would look if all the currently planned tall buildings were built. The Skyline Campaign's Barbara Weiss shares her views in a programme that uses striking visuals to show the shocking transformation planned for some of London's most prized views.